While cognac doesn’t seem to get a tremendous amount of love (although it deserves it), cognac liqueurs have made a solid impact in the US. Most notably are St. Germain and Domain de Canton, both of which use cognac as their base. Neither of those, however, can hold a candle to Belle de Brillet Liqueur, a cognac-based pear liqueur which is one of the best liqueurs we’ve tried. Belle de Brillet Poire Williams Au Cognac (30% / 60 proof, $45.00 per 750ml, $29.99 per 357ml) – it’s hard to talk about this liqueur and not talk about the pear-shaped bottle. This package change happened back in 2000 and it’s brilliant. There’s no doubt that what you’ve got here is pear based. Light amber in color, the Belle de Brillet Poire has an amazing nose that combines crisp fresh pear with an undercurrent of cognac and a soft floral top note. The pear note in the nose is so beautifully presented, you’d swear there was a perfectly ripe, fresh cut pear in your glass. The entry is sweet and absolutely bursting with flavor. The crisp pear from the nose literally explodes on the palate right from the get go, followed by clear classic aged cognac notes with an undercurrent of honey. In the midpalate a solid ginger note emerges which gives this spirit an unexpected spice and fantastic balance. 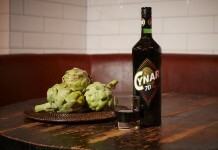 This ginger spice provides some great structure and it helps define the long finish. The Belle de Brillet Liqueur finish is perfect: some of the initial sweetness subsides and you’re left with pear, ginger, and a solid pear blossom top note. The finish is extremely long with the solid pear and floral notes lingering for quite a while. There’s something completely seductive about Belle de Brillet. 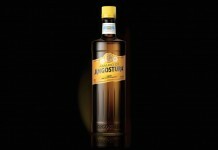 While it’s a liqueur, and therefore sweet, the balance of flavors and the freshness of the pear note are simply outstanding. The way the pear and cognac come together along with the ginger spice in the midpalate is fantastic. In an era of constant spirit innovation, it’s delightful to rediscover something that’s been around for a while but wasn’t on our radar screen. Although we quite enjoyed sipping Belle de Brillet liqueur neat, it may be a tad too sweet for some straight. Pouring it over ice helps a bit, but so does mixing it with champagne. The pear notes also do quite well with Cava, served 1/4 Belle de Brillet Liqueur and 3/4 Cava. Belle de Brillet also performs quite well with citrus and can be used in many of the same kinds of cocktails that St. Germain is used in. Although Belle de Brillet is higher in proof than both Domain de Canton and St. Germain, the alcohol levels are well balanced and really help support the ginger spice in the midpalate. We were quite bowled over by Belle de Brillet Poire Williams Au Cognac which is simply an exceptional product. 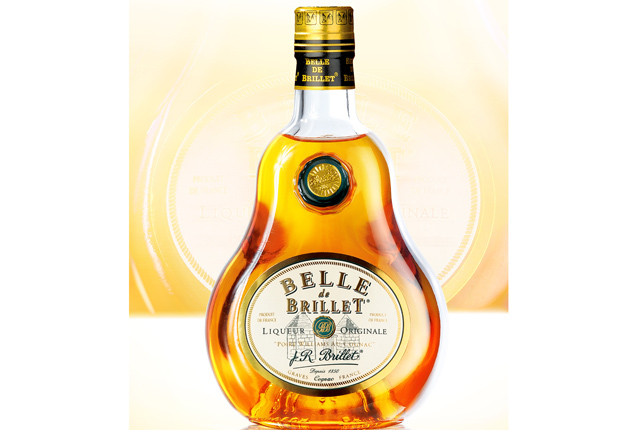 Hopefully great cognac liqueurs like Belle de Brillet will help introduce more people to the cognac category and act as a gateway to one of the most overlooked of spirits.